It always amazes me how smelling a dish baking in the oven or the first bite of a favorite food can flood my mind my memories, some that I haven’t recalled in years. Sometimes, however, it’s even easier than that. The mere mention of the name can send me back in time. For instance, fried chicken will always remind me of summers in Pensacola, FL and going to the now defunct Hopkins Boarding House for fried chicken dinners. It was the best I’d ever eaten and my whole family was really disappointed when we learned they were closing down. And peanut butter sandwiches, the staple of every kid’s school lunch, will always remind me of my grandmother and the way she used to make them when I was little: two pieces of white Wonder bread (each one slathered in real butter), a heaping layer of peanut butter was added to each side, then it was all topped off with a generous drizzle of honey. Looking back, I sometimes want to cringe at the utter unhealthiness of this concoction, but it still gives me that warm fuzzy feeling in my tummy when I think of it because it just tasted like my grandmother and no one could replicate the way she made peanut butter sandwiches. 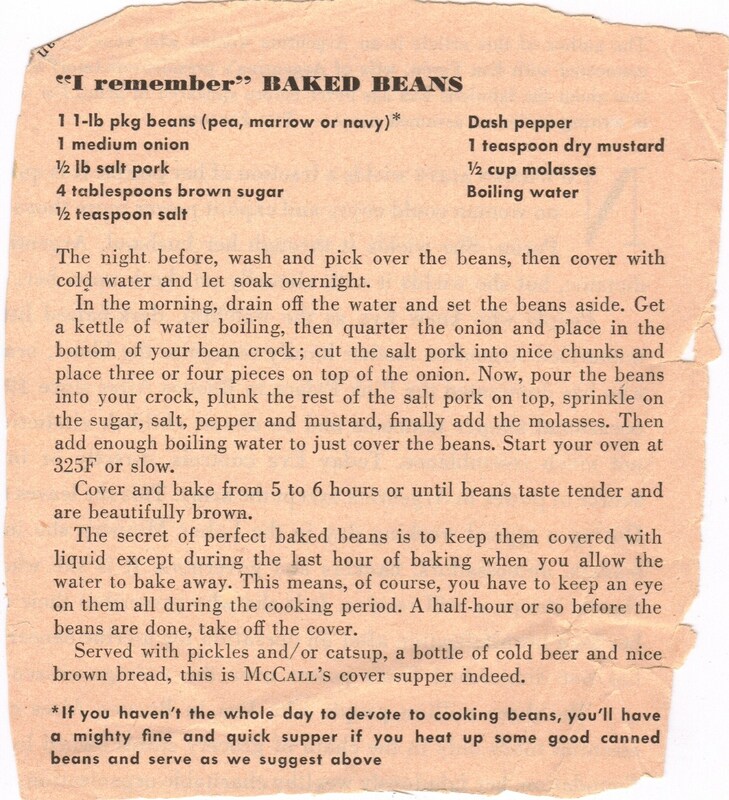 When I pulled the recipe for “I Remember” Baked Beans out of the box, I had a very similar experience. My mind instantly filled with memories, one very specific which I didn’t even know was locked away in my brain. I hadn’t gathered the ingredients for the recipe yet, nor had I inhaled the aroma of baking beans. 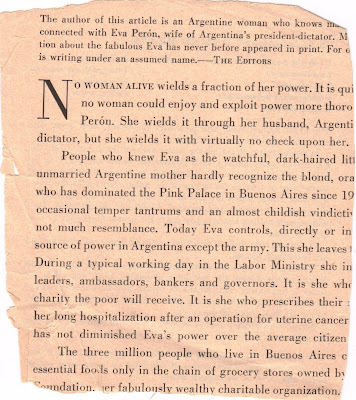 It was simply the name printed on top of the old magazine cut out. I thought of my parents, of the first house we lived in when I was a small child, and of my Uncle Mike. 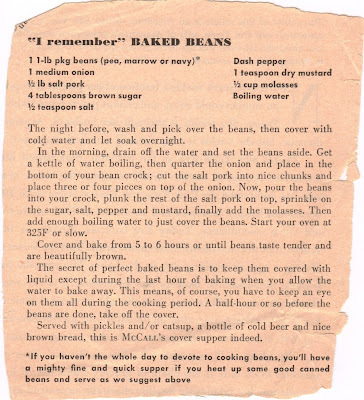 My mom has a baked bean recipe that apparently was quite a favorite of my uncle’s. During the summer, he’d request it for BBQs, family gatherings or just the ordinary Saturday afternoon. I don’t remember ever eating it, I don’t remember what it smelled like, in fact, all that pops into my head is his love for those beans and the crock pot my mom used to cook them in. I can picture it, clear as day, sitting on the counter in that tiny kitchen. It was the classic 70’s color combination of a burnt orange exterior and chocolate brown ceramic interior. I can picture myself standing in that cramped room, staring up at the laminate counter and watching the crock pot magically cook the beans that would make my uncle’s day. We moved out of that house the summer after I finished second grade, but the room comes back to life as if I just left. About two years after we moved, my uncle passed away, but he too springs back to life in my mind whenever I read the top of that recipe card. I love that about food, the way it preserves memories as if it’s making a fossil in your mind out of smell or taste or sound. When my uncle died, I tried so hard to replay the sound of his voice every day in my head so that it would never leave me. I collected things that I knew were his in hopes his smell would be permanently embedded into the items. Some smells and sounds fade away, but others become triggers to memories that, when recalled, make you feel warm and protected like a childhood safety blanket. As I gathered the ingredients for this recipe, I imagined my mom all those years ago doing the same thing. Ironically, I got to cook these beans for my family, in my mom’s kitchen. It was a different house, a different counter and a new crock pot, but the nostalgia flooded back just the same. Only this time I was actually tall enough to see the beans inside the crock pot instead of only watching from the outside. My uncle may not have been there in person, but his spirit was definitely present and mingled in with the aroma of baked beans. A recipe box is so much more than just a collection of cards with ingredients and instructions. It’s a scrapbook, a family history, a map of generations of people that shows where they came from and where they’re going. I wonder what this recipe meant to the original owner of the box. I wonder what caused her to grab her scissors and cut this out of a magazine. 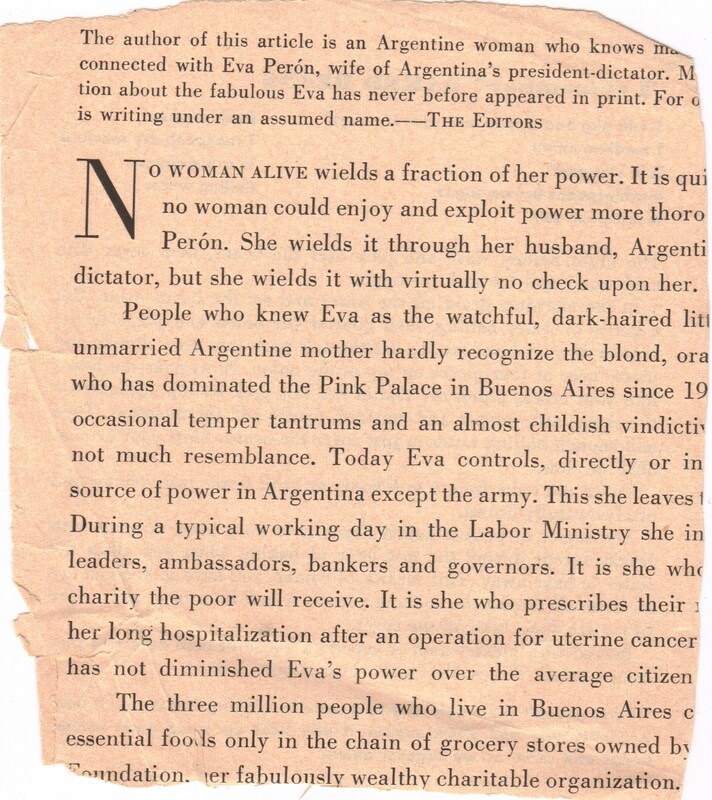 Did she have memories of a lost relative tied to that scrap of paper? Where did she go when the smell of baking beans and brown sugar paraded around her nose? The next time you’re flipping through your recipes trying to decide what to make for dinner, slow down. Carefully read each card. Let the memories float off the paper and take you on a trip through time. I hope you enjoy your journey.